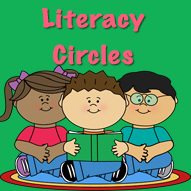 Literacy Circles is a new initiative introduced into the senior end of our school to promote and further enhance comprehension strategies among all the children who partake in it. The children of fifth and sixth class began this process this year with some excellent results as the children have excelled in the like of summarising, making connections and predicting among others. The children are grouped and in their groups either read a novel specific to their group or else as a whole class. The children do much independent work on this novel and become responsible for their own learning. Much of the work done in these lessons is done orally and the children are pushed to think outside the box and challenge the other children to look at things differently.